I’ll jump straight to it. There are two lines of RWD platforms being used by Genesis and Kia. You have the K-Platforms which are descended from the Genesis Coupe and the H-Platforms which are descended from the Genesis Sedan. I took some time and think I’m closing in on what future styles, engines, and pricings these Genesis and top end Kia models will enter the US with over the next 3 years. We can see that “K” denotes the Genesis Coupe platform, “H” denotes the Genesis Sedan platform, and “I” is just shorthand for extending the H platform. Genesis has stated that the G90 is on a platform exclusive to Genesis and that their midsized SUV will be built on the same platform. They also stated that the G70 and a compact SUV will be built on the same platform. Genesis has also stated that the 3.3T V6 will be exclusive to Genesis as well. Missing turbo V6 (likely 3.0L or 3.8L). No V8s. Focus price range of $25,000-$45,000. So we can now guess that the Genesis G70 Sedan, Kia GT Sedan, and Genesis Compact CUV will be the models that receive performance focused trims. Basically the next 3 vehicles we’ll start seeing next year will all be second generation Genesis Coupes, which also suggests Kia will have a smallish sportscar coming and that the K900 will not have a successor since that platform is for Genesis. 3.8L V6 (311 hp / 293 lb-ft), 3.3T V6 (365 hp / 376 lb-ft), 5.0L V8 (420 hp, 383 lb-ft). Focus price range $35,000 - $55,000 and $50,000-$70,000 extended platform. Current/future models are the K900 (which will not have a successor), Genesis G80, Genesis G90, and future Genesis Midsize SUV. 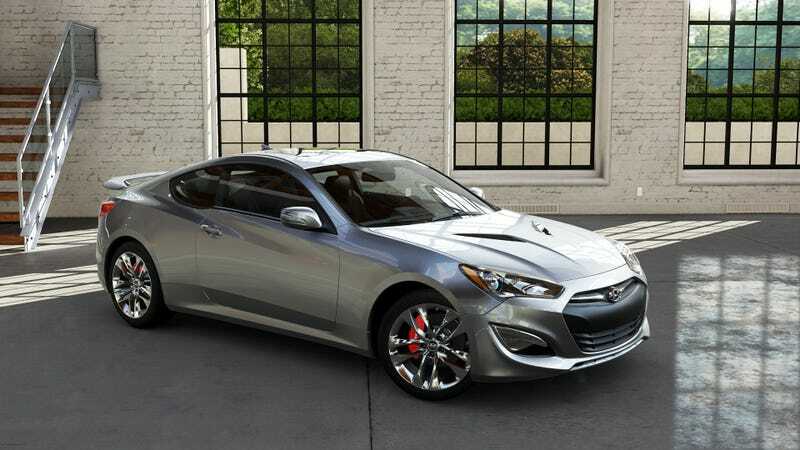 If Genesis is building a coupe on this platform then it will be similar to the BMW 6-Series in size and market. This is also the platform that Lotus assisted with tuning, which means the large sedans have handling composure similar to the large European sedans. So we now know that Lotus just assisted in making the future large cars competitive, they weren’t used to create sportscars. Kia GT Sedan - 3,700 lbs to 4,100 lbs. Sizing between A5 Sportback and A7. *Kia is planning to build 60,000 units a year, which means around 800-1,000 monthly sales in the US. For this reason I’m going to assume no AWD will be offered. Genesis Compact SUV - 4,000 lbs to 4,400 lbs. Same size as X3 and Lexus NX. Kia “Stinger” GT Coupe - 3,300 lbs to 3,700 lbs. Same size as former Genesis Coupe. Something is likely coming to replace the 5.0L V8 but nothing over 450 hp and it will still be a V8. It looks as if there are two more turbo V6 engines coming besides the 3.3T in the Genesis cars (likely a 3.0T and a 3.8T). I think there is also another AWD system coming for the K-Platform models but I don’t know what it will be branded as. There ya go, it really is a big hole in the market between premium and luxury cars. I think other automakers may want to cover that space, especially Acura, Lincoln, and whatever Buick can get out of the Avenir lineup. In fact it’s such a large hole that it’s no wonder GMC sales a majority of its vehicles in Denali form.